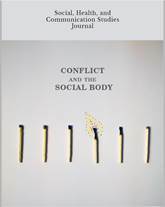 Literature on social work demonstrates that relations between conflicts and social work constitute two paradigms – therapeutic and empowering. Each of them provides social workers with a different set of strategies and interventions. Focusing on social support to IDPs in Ukraine this paper explores the social work interventions in the aftermath of violence available for displaced people and gaps therein. It also discusses the implications for the social work profession caused by the on-going conflict in the country. Paper takes into account that modern social work comes from the fact that the displacement violates social ecology of human, causes deprivation, social exclusion, increases the risk of violence and the emergence of psychological ‘catch of dependency’ and so on. Specific consideration is given to social work strategies in different phases of displacement. The paper is based on a review of documents, semi-structured interviews with the social workers providing services for IDPs, and focus-groups with communities’ representatives. According to the Ministry of Social Policy of Ukraine, by the August 2015 more than 1.4 million IDPs were officially registered. In brief, services providing social support to the IDPs in Ukraine can be grouped into three categories: government agencies, NGOs and volunteers (organized or chaotic). In working with IDPs, social workers can use short-term (crisis intervention, outreach work, task-oriented model of social work) and long-term intervention strategies focused on system-ecological model of social work and community development. The necessity for implication for IDPs the empowering strategies and changing public perceptions towards IDPs is evident. Issues of social work education might be reconsidered, as well as the value and perception of social work as a profession in Ukraine.